Are you a senior living in New York? Did you meet a liar on the Internet? 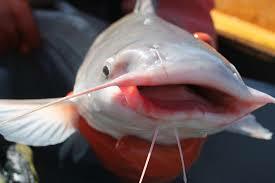 Catfish Profiles are personal write-ups containing fictitious information, and they are prolific in internet dating. And all too many participants here on Lovefraud have first-hand knowledge of this heart-wrenching problem. As many of you are aware, I’ve been working diligently to create laws that will prevent victims from being defrauded into relationships. I’m happy to report that on October 21, 2015, I’ll be testifying before legislators in New York State about this problem. In order to effectively get the message across, I’d like to hear real-life cases of victims who fell prey to a Catfish Profiles in New York State. If you are age 55 or older and met a person through internet dating, who turned out to be anything but what they told you, please contact me right away. You will not need to testify, and I will not reveal your name unless I have your permission to do so. I can be reached on my blog at http://www.StopRapeByFraud.com or by simply writing to me at [email protected].